i recently got a deep fryer, and had the craving for a krispy kreme style donut. so i made some :) i found a very informative recipe, there’s little else i could add, other than i feared the glaze would be too sweet and cut back on the icing sugar a bit and instead, should have added a bit more. the bite of a freshly fried and glazed donut made me seriously wonder if i should waste the calories eating store bought ones (including Tim’s). 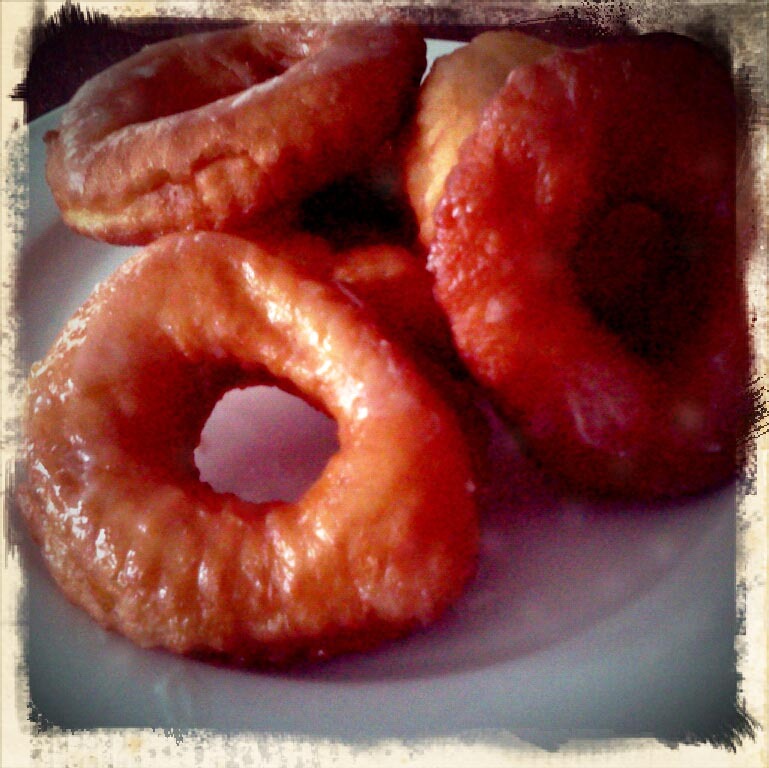 the next day, as with real krispy kremes, rewarming slightly was just the thing to bring back a little of that fresh-made magic. do you like watching movies on the big screen or prefer at-home viewing? going to the cinema is definitely an enjoyable past-time for me. and it’s not just because the movie theatre popcorn tastes so good :) something about being in the dark with strangers, and for that 90-120 minutes, we are all sharing an experience together. laughing is more contagious in a crowd, and tension filled moments are simultaneously more excruciating and exhilarating (suspense and horror films are not usually my cup of tea). well, there exists a really cool cinema where the seats are all old sofas and chairs (and there’s even an old classic car you can sit in!). you can buy food and eat it before, during or after the movie (i highly recommend the really big fresh-baked cookies and homemade ice cream). drinks (of the alcoholic variety or not) are also allowed. 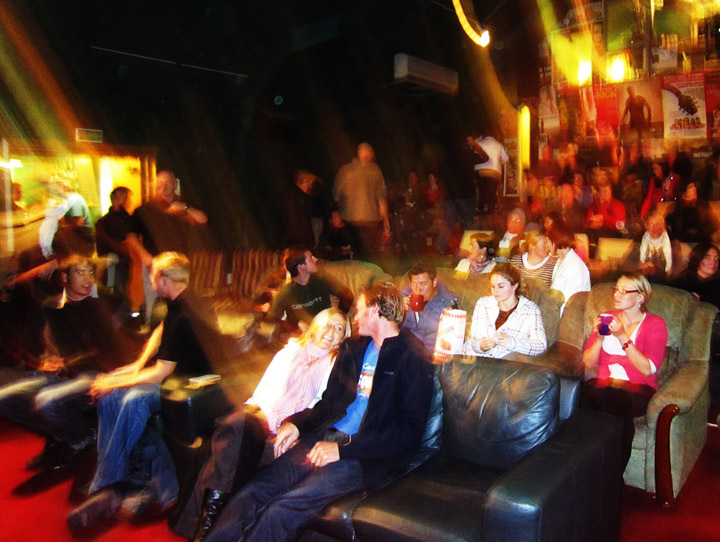 it’s like bringing in some of the comforts of home, but retaining the experience of movie going! 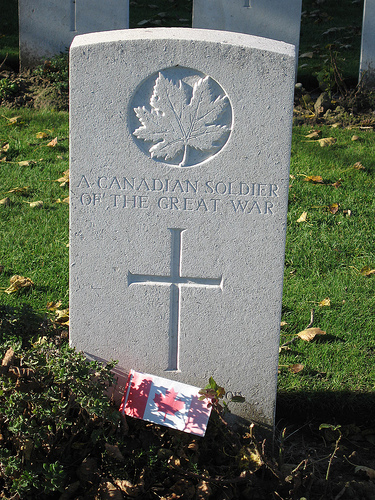 November 11 is Remembrance Day here in Canada. in the two weeks leading up to this day, Canadians wear poppy pins as a sign of Remembrance to all in the armed forces who lost their lives fighting in World War I and other wars. the Remembrance poppy was inspired in part by the poem “In Flanders fields”. “In Flanders fields the poppies blow, between the crosses, row on row…”, throughout elementary school, i can recall learning this poem, most memorable for these first 12 words. everyone knows a home smells nicer when cookies are baking in the oven. a fringe benefit of course. 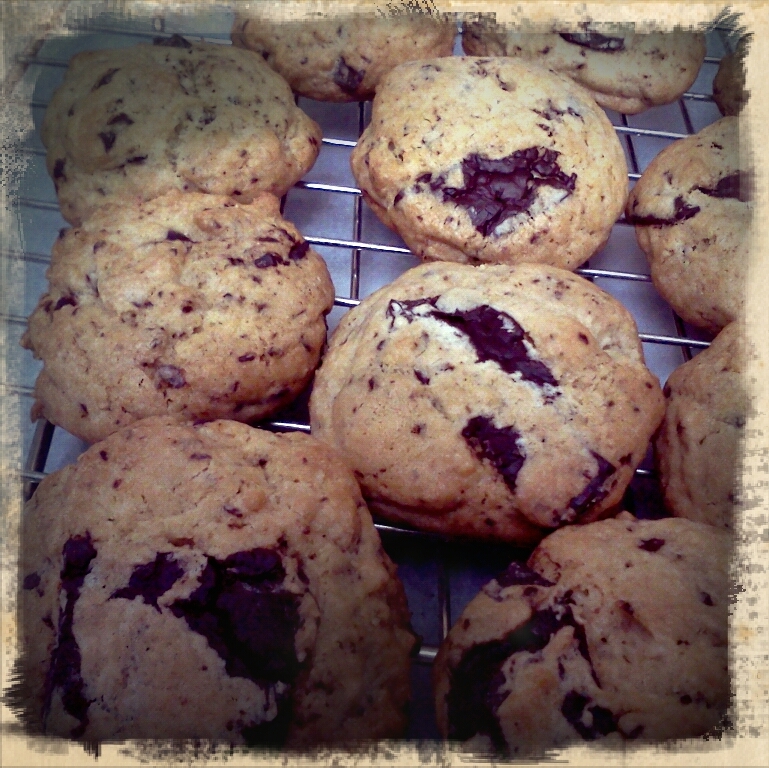 the most satisfying part for me is biting into a still warm chocolate chunk cookie and the chocolate is still melty!